Manchester United don't have a train outside their ground but maybe they should! 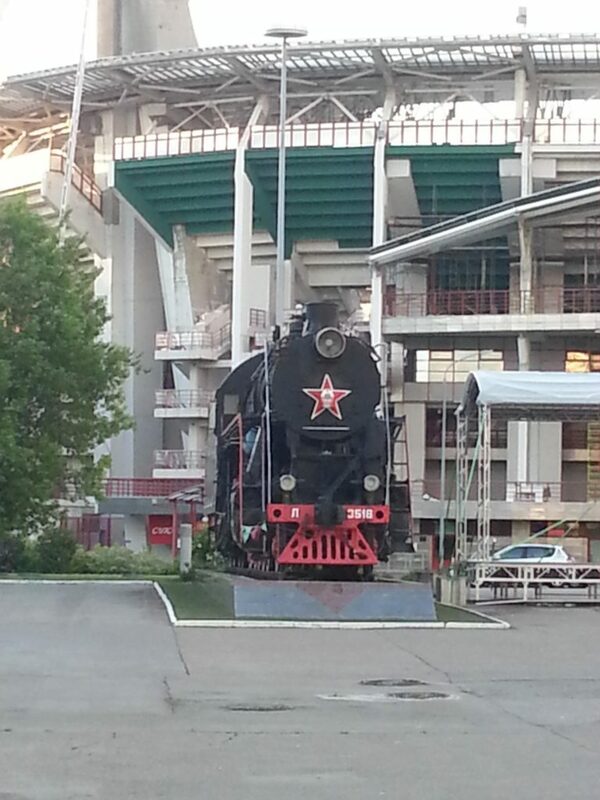 FC Lokomotiv Moscow. Lokomotiv was founded as Kazanka (Moskovskaya-Kazanskaya Zh.D) in 1922. In 1924, the club united the strongest football players of several roads of the Moscow railway junction as KOR ("Club of the October Revolution"). In 1931, the club was again renamed to Kazanka (Moskovskaya-Kazanskaya Zh.D) and in 1936, it was eventually renamed to as it is known today, Lokomotiv. During the Communist rule, Lokomotiv Moscow club was a part of the Lokomotiv Voluntary Sports Society and was owned by the Soviet Ministry of Transportation through the Russian Railways.